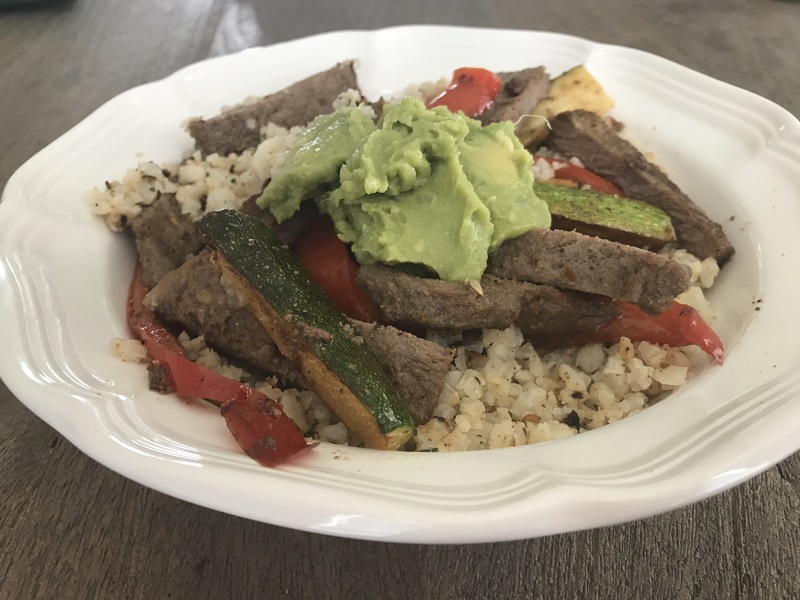 I follow a number of food accounts on Instagram, and I kept seeing all of these people posting things about fajita bowls or burrito bowls… and since I’m obsessed with Tex-Mex myself, I just grabbed some stuff that I felt like I would like in a fajita bowl and threw it together. 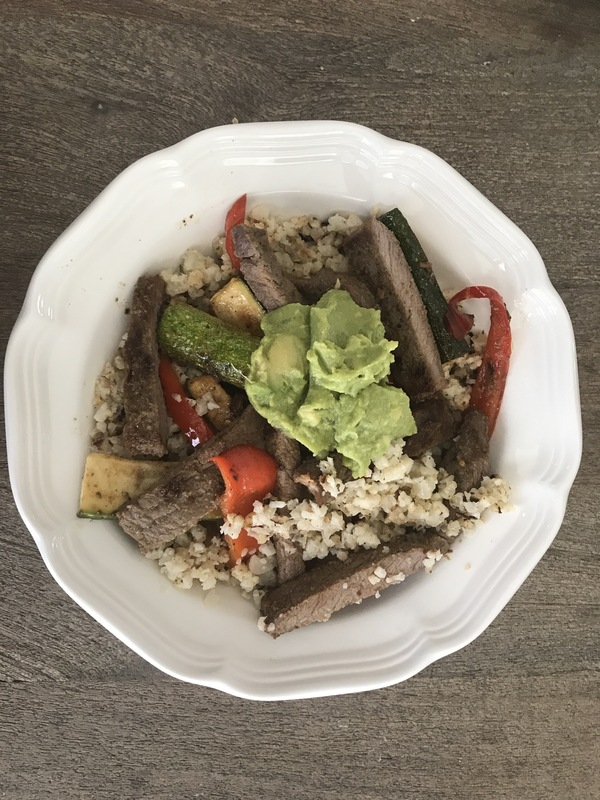 Looked up a fajita seasoning mix on the whole30 website, and made some modifications to the Whole30 cauliflower rice recipe that I love to make, to create a yummy cilantro lime rice instead and viola! Dinner is served! 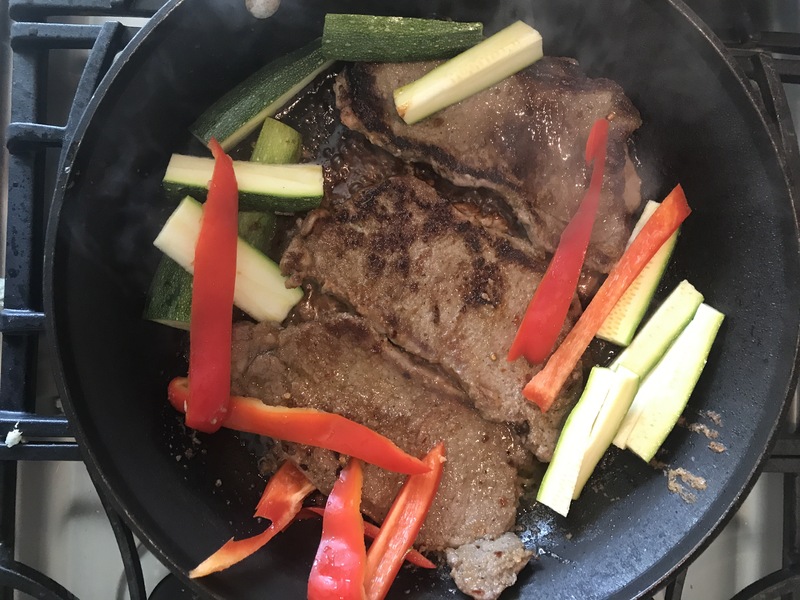 Definitely loved this meal, felt like it was pretty easy too so that means it makes the cut to my monthly/weekly meal rotation! 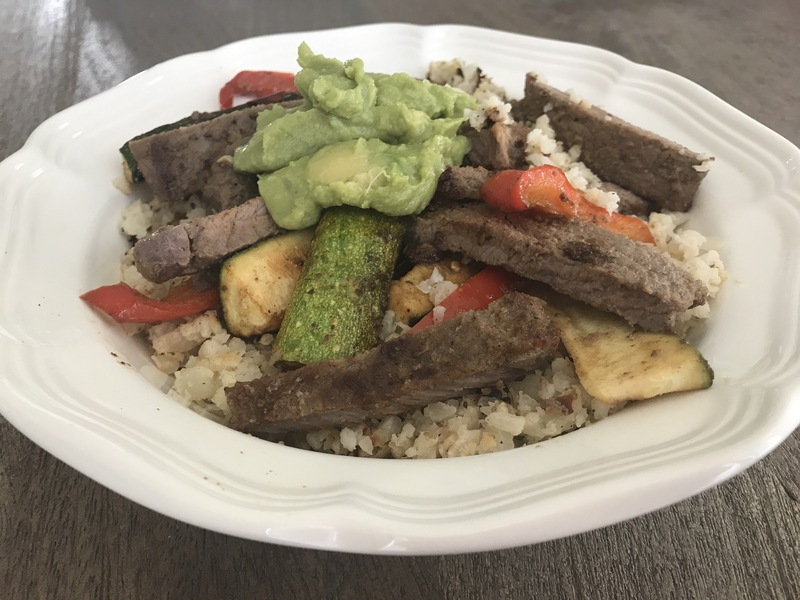 For cilantro lime cauliflower rice recipe, go here! I’m kind of lazy when it comes to marinading, half the time I never get it in the fridge soon enough and I definitely just dump all of the seasoning ingredients in a ziplock bag and mush them up in there before adding the meat, no premixing in another bowl here! So grab that list of seasonings and put them in a big ziplock bag and just mush them up a bit! I rinse my meat and then place it in the bag, mush everything up again, kind of massaging everything into the meat and place it in the fridge for an hour or more. I did less than this and it still tasted yummy! 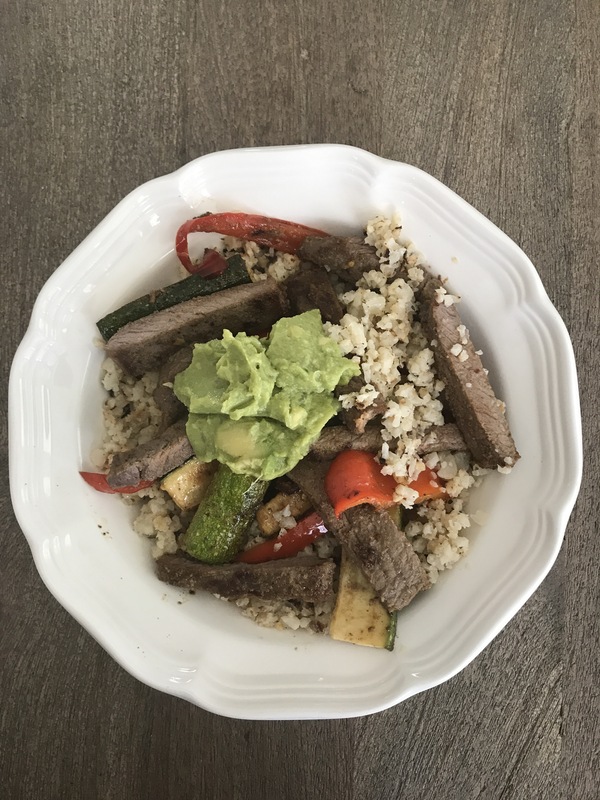 I worked on my cilantro lime cauliflower rice while my meat was marinating, and also cut up my veggies. 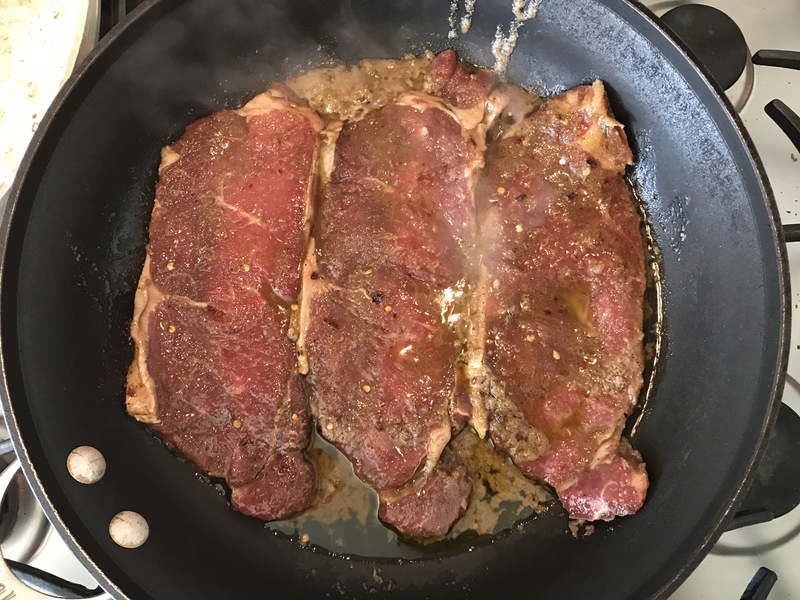 Once the meat had marinated, I placed the flank steaks into a skillet and poured any leftover marinade onto the meat into the skillet. 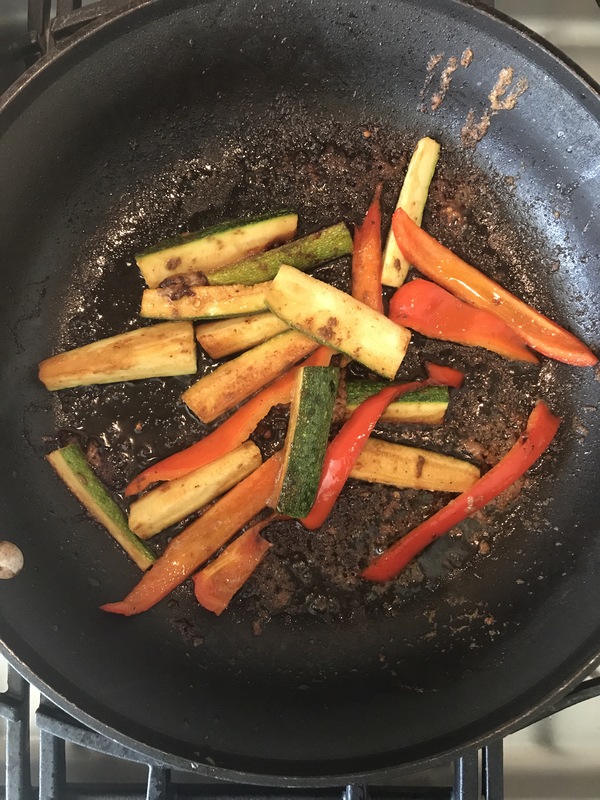 After a minute or two I placed the veggies in the same pan so they could also cook at the same time. 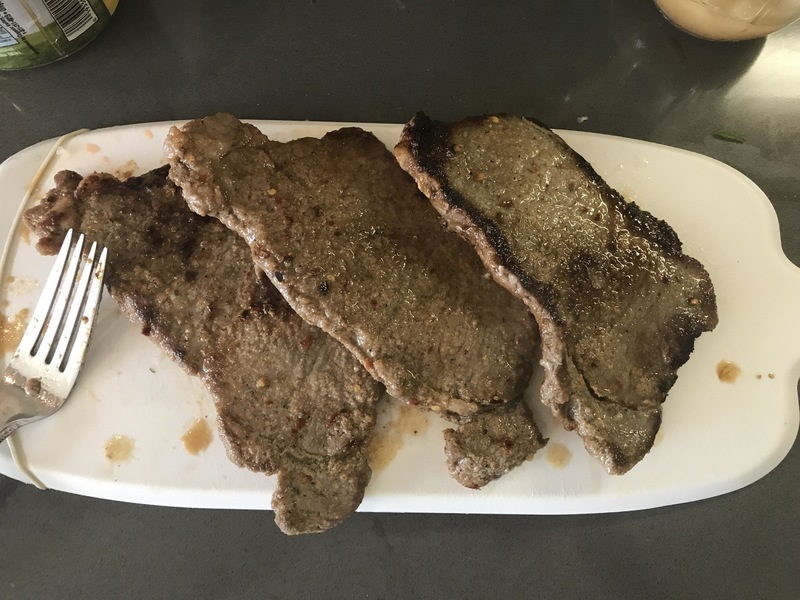 Cook the meat a few minutes on each side, then place on a cutting board to rest a few minutes before slicing it. Allow the veggies to continue cooking until they are to that nice crunchy but soft place. 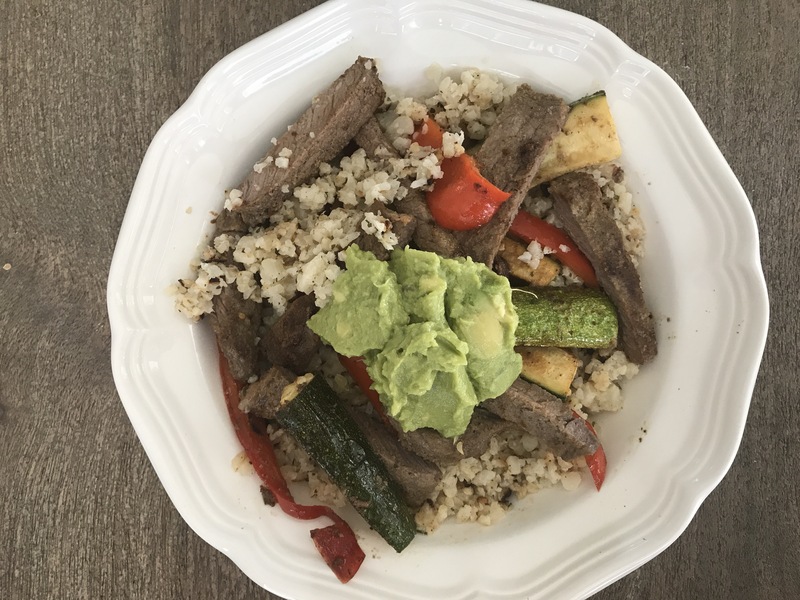 Build your bowl by placing the cilantro lime cauliflower rice on the bottom, then place the veggies on top of the rice, then the steak and toppings. Enjoy with a La Croix and some plantain chips! Raw meat in a bag, yum!